Air exposure causes peaches and other light-skinned fruits to discolor and become brown. The oxygen interacts with the enzymes naturally present in the fruit to cause the oxidation. Food-safe acids slow the enzyme reaction, preventing discoloration so your sliced peaches look as appetizing as they taste. 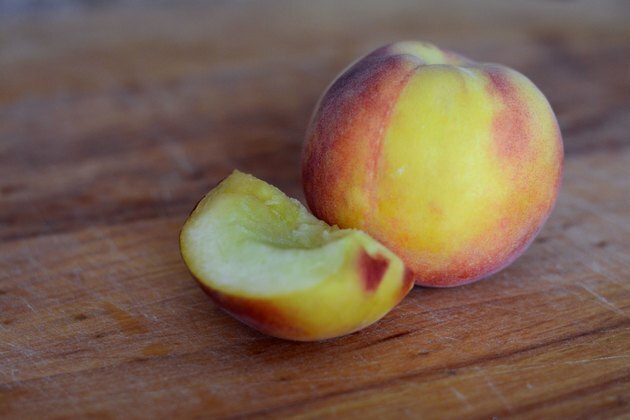 Citric acid works well with peaches because it is readily available and has a mild enough flavor that it doesn't affect the taste of the fresh cut peach slices. Fill a bowl with 1 gallon of cold water. Dissolve 1 tablespoon of ascorbic acid powder or lemon juice in the water. 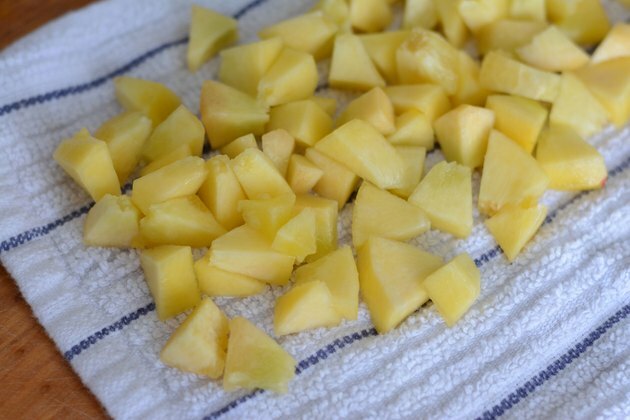 Peel and cut the peaches into the desired size pieces. 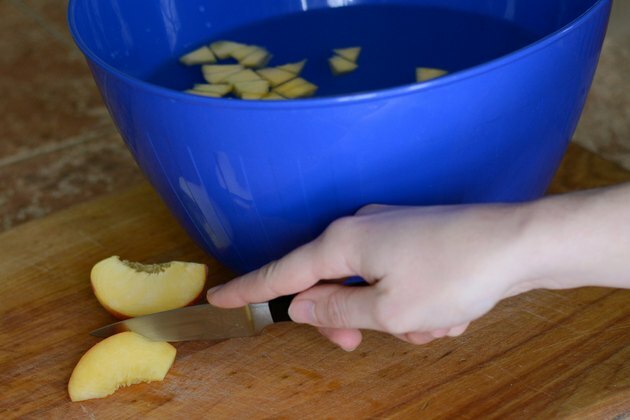 Place the peaches slices in the bowl of water immediately after cutting, submerging them completely. 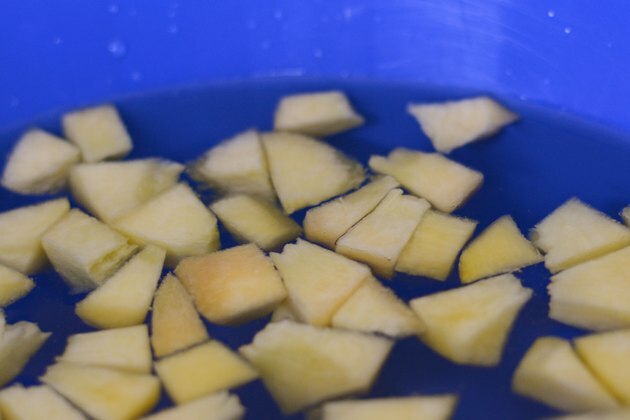 Soak the peaches in the water for 10 minutes. Drain off the water. Pat the peaches dry with a clean towel or a paper towel. Serve or store as desired. Substitute vinegar for the acid or lemon juice. 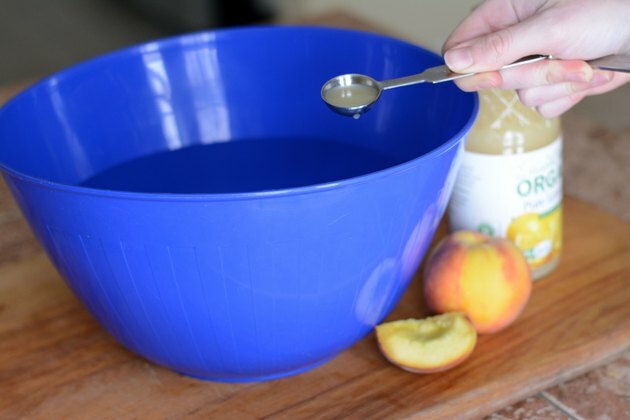 Rinse the peaches and don't soak them longer than 20 minutes if you use vinegar, otherwise the peaches can take on a vinegar flavor. Ascorbic acid is available where canning supplies are sold, but you can use six crushed vitamin C tablets if ascorbic acid is unavailable.